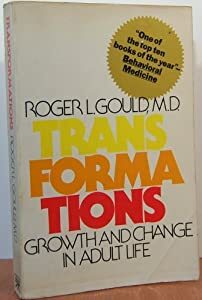 ROGER L. GOULD, M. D.
Copyright © 1978 by Roger Gould, M.D. Gail Sheehy in her #1 bestselling book, Passages. Studies show that the reason why many people gain weight—and keep it on—is emotional eating, not physical eating. Now Dr. Roger Gould, a psychotherapist and a leading authority on emotional eating, shows how to overcome fear, anxiety, and other stresses and stop using food as an over-the-counter tranquilizer that can cause weight gain. With 12 practical ways to stop emotional eating and an eight-session program, Dr. Gould helps you become your own eating therapist and shrink yourself for good.